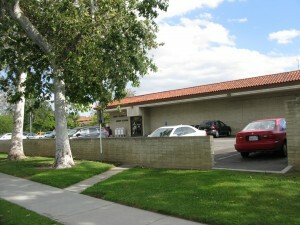 Santa Clarita Sheriff Station Jail | Arrest, Bail Bond, Bondsman Info. Santa Clarita Sheriff Station Jail | Arrest, Bail Bond, Bondsman Info. If someone has been arrested in the city or surrounding areas of Santa Clarita, which include: Newhall, Saugus, Canyon Country, Castaic, Stevenson Ranch, Westridge, Acton, Valencia, Fair Oaks Ranch, Val Verde, Agua Dulce, Sleepy Valley, Angeles National Forest, Bouquet Canyon, Hasley Canyon, Neenach, Southern Oak, Sunset Point, Tesoro del Valle, West Hills, Sand Canyon, Six Flags Magic Mountain, Mint Canyon or Gorman, they will likely be transported to the Santa Clarita Sheriff Station Jail. The Santa Clarita Sheriff Station Jail is staffed by 200 sworn Sheriff’s deputies and another 42 civilian professionals. The jail itself has 11 cells and is capable of holding about 40 inmates at a time. Click here for additional Inmate Information, including visiting and phone calls. When arrestees are taken into custody there, they will undergo booking and processing. This process can take from 4 to 8 hours and will generally entail taking photos or (mugshots), collecting fingerprints and conducting a nationwide background check on the defendant before they are cleared for bail. It may be that the jail is too full or the defendant has a medical condition. In these cases, inmates are often transferred by bus to a larger County facility, such as Twin Towers (for men) or the Lynwood Jail (for women) where they will undergo booking and processing one more time. The transfer process can add anywhere from 12 to 24 hours to an inmate’s time in custody. However, if the bail bond process has begun before an inmate is transferred, Sheriff’s Deputies will sometimes allow an individual to remain at the Santa Clarita Sheriff Station Jail until the bail bond application process is complete and the bond can be posted. Talk with an agent for further information on the timing of the process. We don’t require collateral for every bond and frequently write “signature bonds” for our clients. Visitation at the Santa Clarita Valley Sheriff Station Jail is from 10:00 am to 2:00 pm every day. Visitation is limited to a maximum of 1 adult and 2 children per day and is taken on a first come, first serve basis. Bailing someone out of jail in Santa Clarita is more than just a goodwill gesture. When a person is in custody, they are unable to attend work and/or school, cannot tend to family obligations and are otherwise cut-off from contact with the outside world. They are unable to meet the responsibilities of daily life. Therefore, bailing someone out of jail will allow the individual to continue attending work or school, paying bills and meeting their family obligations. Without this freedom, jobs can be lost and classes failed, and extended stays in custody can even result in home evictions. If this is your first time inquiring about the bail bond process in Santa Clarita, you’ve probably got a lot of questions. The first step in finding the answers you seek is to call and speak directly with a licensed bail bondsman who is local to the Santa Clarita Sheriff’s Station Jail. Once you provide the full name, birth date, and date and time of arrest, we can quickly locate your friend or loved one and verify their eligibility for bail. Once eligibility has been established, there are a few short forms to fill out as the indemnitor of the bail bond and payment must be arranged. After that, one of our bail agents will be dispatched to the jail to post the bond. Because of the close proximity of our office, our agents have only to go directly across the street which takes less than 5 minutes. As the signer of the bail bond, it is important to note that you are financially responsible for the defendant’s appearance in court. This means that, if the person whom you bail out of jail does not appear, you will have to pay the court the entire amount of bail. As such, only bail out someone that you know and trust implicitly. We want to make sure our clients have all the information they need to help their cases move quickly and smoothly. If the charge was listed as a Felony, the defendant will be seen at the San Fernando, North Valley Court. If it is a Misdemeanor level charge, the defendant will go to court at the Santa Clarita/Newhall Court for their arraignment. If you would like more information on the Santa Clarita Sheriff Station Jail, or would like to begin the bail bond process right now, call us locally at 661-260-2245 or toll-free at 855-414-2245. A friendly, knowledgeable and local bail bondsman in Santa Clarita is available any time of day or night to take your call.